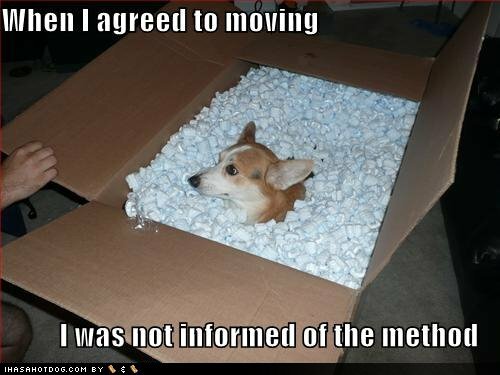 I don't have much time for a post today, the movers will be here shortly. Kind of odd to see 19 years of my life packed up in about 15 little boxes. I'm checking into a budget hotel for a couple of nights and then I'll be live-blogging my journey back to Peoria on Thursday. Check that out if you feel like it, if not, have a sandwich or something. Happy Monday! Further reading: Allied Van Lines, Moving On Up and Move On Up. I hope tomorrow you'll find better things.